International Garden Photographer of the Year comes to Blarney Castle in Cork, Ireland for the first time. Blarney is a very special location, regarded as a world landmark and one of Ireland's greatest treasures. The exhibition will be displayed on the IGPOTY outdoor structure in the grounds of the castle. 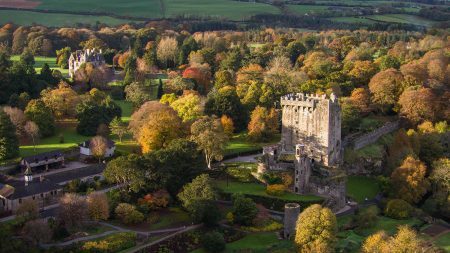 With beautiful gardens and green space Blarney Castle is a perfect home to display the best garden photography from around the world.